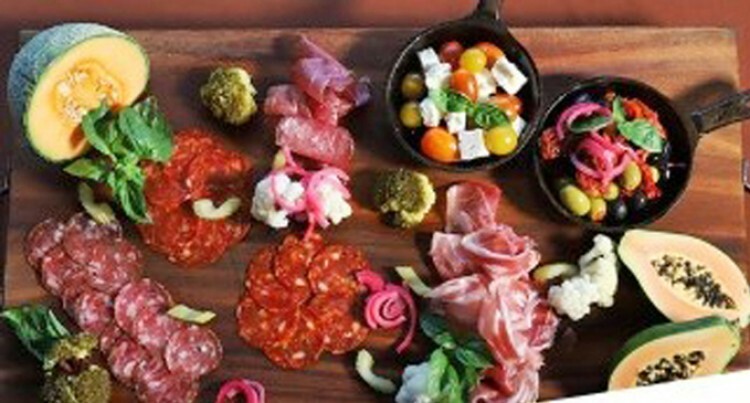 An array of what food one can expect at Basilico, Radisson’s new Italian family style restaurant. Basilico, Radisson Blu Resort’s new cosy Italian family style restaurant has already drawn praise from guests who have had the chance to be part of the pre-opening experience. The restaurant will definitely become the talk of Denarau and tourists with cuisine reflecting a rustic array of Italian dishes. For the resort, their pride lies in the freshly made pasta and risotto by its chefs. Director Food and Beverage, Denny Akira Tanaka said the resort would not import any pasta and risotto. “All this is freshly made at the resort,” Mr Tanaka said. Basilico has a difference – the experience starts with the serving of a freshly baked focaccia (is a flat oven-baked Italian bread product similar in style and texture to pizza dough that may be served as an antipasto, appetizer, table bread, or snack). “This is done while you are choosing your menu so it gives you a choice on which focaccia you want to have with your meal,” Mr Tanaka said. The restaurant, which seats 72, has an area for adults and a separate one for children. The official opening of the Basilico Restaurant is this Friday evening. This is the second Italian Restaurant on Denarau with the other at Port Denarau. Meanwhile the resort has done away with using plastic, including straws. Mr Tanaka said they were however looking further at doing away with this too.